House of Woyaks: We Have a Winner! Let's get down to business right away. Thank you to everyone who entered the "Don't Sweat Giveaway" during June. Can you believe it is already July?! 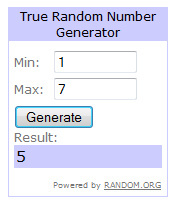 I am so excited to tell you the winner! She is a fantastic lady who has been a great follower of the House for a while now. She also has a great blog filled with all sorts things about the Catholic faith. Love it! I have contacted Noreen and her copy of the book will be sent her way. In the meantime, if you are interested in Don't Sweat for Moms, why not read the first chapter for FREE? Thank you again to those who participated! Have a wonderful start to July!! Now, who is ready for the 4th?? ME!! Thanks Heather! I am so excited to be the recipient of your giveaway! I will send my mailing address through email.